Born in Tokyo in 1974, Satoshi Kato graduated from Waseda University and joined a major educational material publisher, Obunsha Group, in 1997. In 2004, he joined Australia’s biggest investment bank Macquarie Group, then in 2009, he joined Chodai Co,. 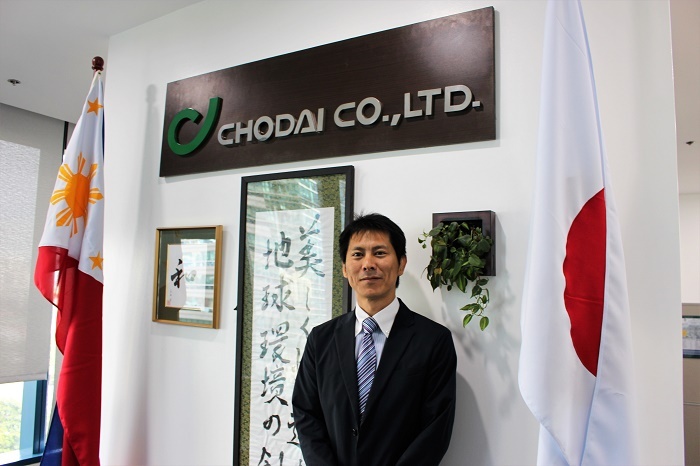 Ltd.
A holder of an MBA, Master of Economics, and Ph.D. in Regional Development Studies, he is the President of Chodai Philippines Corporation as well as General Manager of Finance & Legal Division, Corporate Planning Group of Chodai Co., Ltd. While celebrating their 50th anniversary this year, Chodai partnered with Equi-Parco Construction Company among others to develop a hydro power plant in the Caraga region of Mindanao, and oversaw the completion of construction in May 2018. Chodai is now focusing on economic development under a private-sector initiative to create employment in Mindanao through over 10 projects in a wide range, from infrastructure, agriculture, and aquaculture to industrial parks. And, Satoshi Kato is the one who has been managing these projects right from the start, back in 2011. 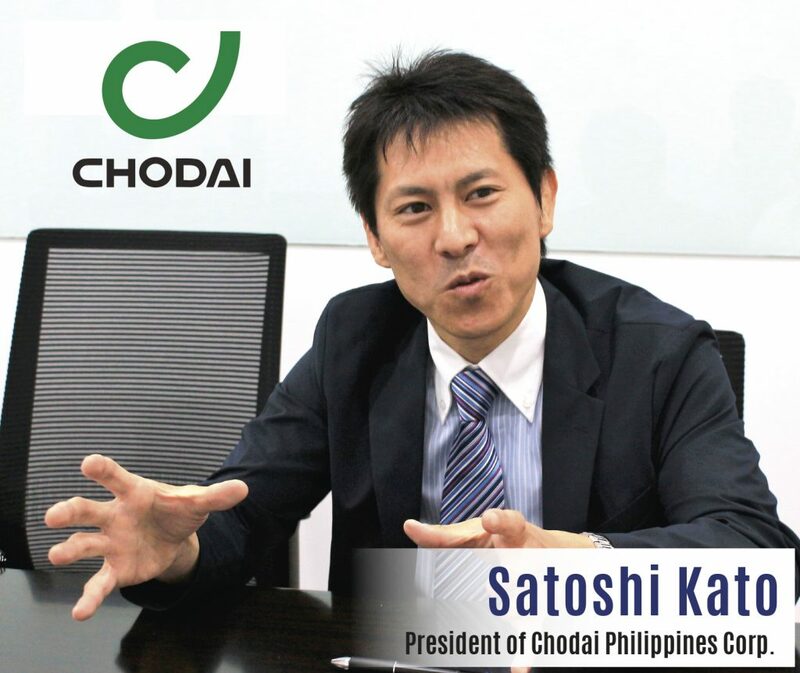 You joined Chodai in 2009, when did you first come to the Philippines? It was September 2011. I was taking a postgraduate university course at that time, and coming to the Philippines to do some investigation was part of the course. The course was designed for adults specializing in PPP (Public-Private-Partnership), and I took it up in 2011. One of their lectures included a “PPP project” which involved choose one municipality and studying their methods of problem-solving and economic development through PPP. Then, Butuan City in Mindanao was chosen as the municipality to study in the second semester 2011 of the lecture. Mindanao was where you started? That’s right. Butuan City appears in a Japanse business novel, ”炎熱商人” (Ennetsu Shonin), published in 1982 by Yusuke Fukada, and the city once thrived with forestry, exporting timber to a number of countries including Japan. But the industry fell into decline, and shrimp farming began to develop in its place. It quickly became the main industry of the area, but in the late ‘90s, due to repeated cultivation and diseases, this also fell into decline. After that, with the help of JICA (Japan International Cooperation Agency) and ODA (Official Development Assistance), construction became the main industry. But, ODA projects do not last forever. So the city needed a new industry? Well, Butuan lies in the northeaster Mindanao, a central city of the Caraga region. It is about the fifth largest city in Mindanao with a population of 400,000. There are many colleges and universities, so it needed, and still needs, new industries to provide employment for the region. Our partner, Equi-Parco, is headquartered in Butuan, and one of its founders, the COO at that time and now the mayor of Butuan, Mr. Lagnada, was worried about Butuan’s future. He was concerned that there was nowhere continuously creating employment that would attract talented workers and convince them to stay in the region, which is vital for regional development. Your first visit to Butuan was during the Aquino administration, is that right? That’s correct; “Finance Reform” and “Anti-Corruption” were the main slogans at that time, and they led to the Philippines being rated, for the first time in its history, as an investment grade country by three major credit rating agencies. This was obviously a good sign; however, for financial reform, the budget for public investment needed to be repressed, while infrastructure is a substantial basis for the development of the economy. Therefore, to accommodate both finance reform and infrastructure development simultaneously, the Aquino administration took PPP seriously. Because budgets were limited, they had to bring in money and know-how from the private sectors by using PPP, and then develop the necessary infrastructure rapidly and extensively. How did Butuan get involved in the project? President Duterte, a previous mayor of Davao City in Mindanao, has overseen a change in the situation of Mindanao in the sense that more people are paying a closer interest to the region, and yet, the priority for public investment was first Manila, then Cebu, and finally Mindanao at that time. And so, things were not likely to change if they just wait and hope for the best. So, Mr. Lagnada came up with an idea, “Why don’t we use PPP to develop Butuan?” He started to seek some advice, and reached out to Toyo University, the only graduate school in the world with a master course specializing in PPP. From that moment, Toyo University began their study, and I was lucky enough to come to Butuan as one of the team members in September 2011. From that research, how did Chodai come to be involved? As to the PPP study, a report was drawn up and submitted, and then everything was finished as a series of lectures. However, we were allowed to utilize the report for business, or for anything we wished. Meanwhile, Chodai was looking at ways to explore new business opportunities domestically and internationally, and hydro power business in Asian countries was one of the main targets. The reason for this was that 60 to 70 percent of the total project cost relates to civil engineering works, which is Chodai’s strong point, so we were able to utilize our workers, engineering skills, years of experience, and so on. During the study, I heard that Equi-Parco was planning to move into the hydro power business for the first time, and then, as soon as I returned to Japan from the PPP research, I spoke to my colleague in charge of new business development. The following month, I revisited Butuan, this time as an employee of Chodai, no longer as a graduate student. These days, we are seeing wide expansions in other businesses, not only hydropower, including: renewable energy such as wind and biomass; basic infrastructures such as water supply; primary industries such as farming, aquaculture; and development and management of industrial parks. These are all managed as private businesses, and through equity investment, Chodai is hoping to contribute to them on a long-term basis. 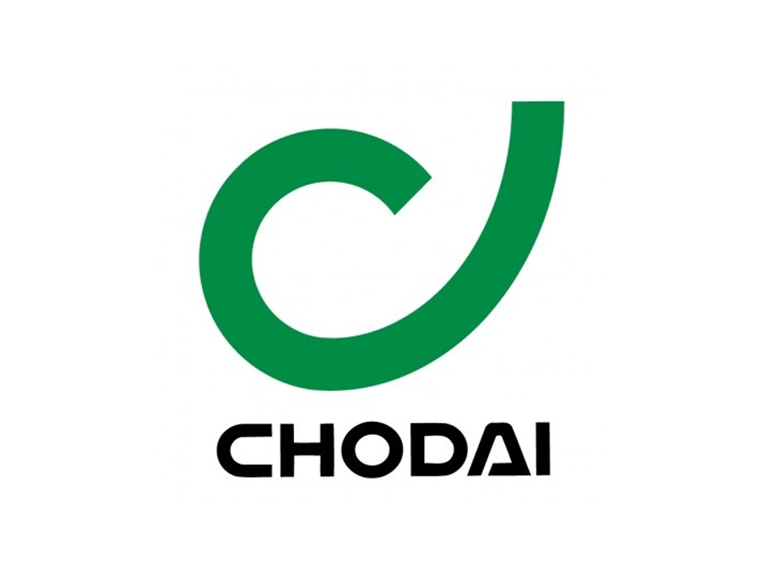 Our company name, “Chodai,” comes from the Japanese ”長大橋” (Chodai-Kyo), which means “long and large bridge,” as we started out as a bridge design company. Bridges are something that connects “people to people” and “region to region,” or “now and the future.” In this way, through our ongoing business, I hope to be someone who connects Japan and the Philippines, and Japan and Mindanao while contributing to the economic development of Mindanao, as well as the Philippines. This first appeared in Philippine Primer Magazine’s November 2018 issue.